Maggie Pill Mysteries: Guns, Cats, and Quilting--How's That for a Topic? 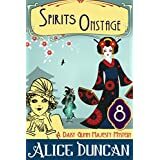 I'm reading a book by author Alice Duncan, who writes a series I'd call cozy historical with a fake medium as the protagonist. Daisy Gumm needs to earn a living, so she hires out for seances and such, and she always seems to get pulled into solving a crime. I enjoy the books, but that's not why I bring them up here. My topic, guns, cats, and quilting, was suggested by the fact that it's obvious in the series that the author loves dogs. 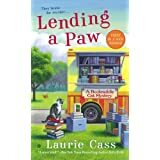 Another friend, Laurie Cass, writes a series in which a cat named Eddie plays a major role. I know for a fact Eddie is real (though his participation in solving mysteries is not), and he's very well-loved by the humans he deigns to associate with. 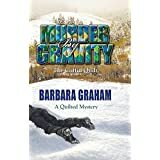 A third author friend, Barbara Graham, writes a series of quilting mysteries, and while you don't have to be a quilter to enjoy them (I'm not), those who are clever enough to quilt like the books even more because of shared insider knowledge. As a reader of a wide range of fiction, I've often noticed how a writer's likes and dislikes appear in his/her books, which in turn affects who buys those books. For example, my husband buys thrillers and often recommends authors he thinks I should try. I sometimes do, but too often I find their fascination with guns, bombs, and other forms of weaponry makes me skim ahead until the story gets back on track. Obviously, that's not the case with a lot of readers, or those authors wouldn't be mega-best-selling authors. Often writers allow social issues to leak into books that are at heart genre fiction. That's not a bad thing unless they feel compelled to hit readers over the head with their views. I used to buy a thriller series that disintegrated into anti-government ravings somewhere around Book #6, at which point I gave it up. Still, writers like Sara Paretsky slide social commentary into their books without irritating me or her legions of fans, so I know it can be done if the hand that writes is clever enough. So here's what I think about why we read what we read. We tend to settle in with authors who share our likes and our opinions about life. Is the world scary or basically good? Is a big part of it taken up with animals, a craft, or a cause? Does satisfaction come from watching big events unfold or from small, warm moments in time? It's the answer to why you can love a book someone else shrugs off or even refuses to read.